Kali Linux is one the popular tool designed by Linux distribution for mainly used in digital forensics for ensuring proper penetration testing. It is one of the first open source platforms where android application penetration testing can also be possible. Backtracking mainly holding one specific mode called forensic mode, this is mainly carried over to this Kali environment by using some live boot. Command for getting Date: This is one of the common commands for helping to display normal date with time in the Linux screen. It is also possible to set some of the custom dates which can be handled by using this specific command. Command for displaying Calendar: One of the key commands of Kali Linux operating system is cal which actually helps for displaying proper require calendar in Linux terminal screen where anyone can able to identify the local date. There has a lot of additional calendar package available in case of Kali Linux command, where people can able to manage the calendar in varieties way, sometimes they can able to present it vertically or some other critical features with this additional command. This additional command package call ncal package need to download in your local Linux machine for using those features. 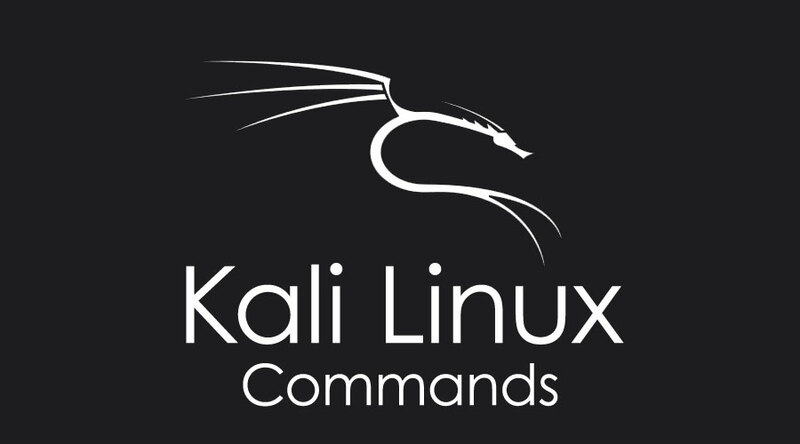 Whoami and who command: There is two very much useful and popular command in Kali Linux platform are whoami and who commands. Whoami is one of the key commands which provided exact effective username immediately who are involved in executing this specific command. And who is the command where it will give entire logged in user detail information? Pwd: PWD is actually standing for Print Working Directory. This Kali Linux command is mainly using for displaying the specific directory where command executer is currently belonged to. Sometimes in case of Linux platform user are unable to understand in which directory he is right now. Then PWD is the key command for understanding the same. Ls: This is also a very commonly used command in Kali Linux platform. Every user after applying their logic, this is one of the first commands they execute. Command Ls is actually providing the entire list of documents available in that specific directory. There have several other extended commands of Ls which are using for managing the display of those files in a proper manner. Suppose, ls –lrt, ls –al are given some additional information of those list of files on that specific directory. Cd: Cd command is mainly used for changing the directory in Kali Linux platform. Mkdir: Mkdir is one of the key commands for Kali Linux platform. This actually helps for creating one new directory in Kali Linux platform. Cat: Cat command is commonly used for displaying the entire content of one file. It also can be used for creating or concatenate single or multiple files in Kali Linux platform. Cp: This Kali Linux command is normally used for copying the image of an existing file or directory and paste the same anywhere in the Kali Linux platform with the different file name. Mv: Mv command is also very frequently used command for moving the files or directory to another location with the same name and content. Rm: Rm command is used for mainly deleting or removing the files or multiple files. If we use this rm command recursively then it will remove the entire directory. Uname: This command is very much useful for displaying the entire current system information properly. It helps for displaying Linux system information in Linux environment proper way for understanding system current configuration. Uptime: The uptime commands is also one of the key commands for Kali Linux platform which gives information about how long system is running. Users: This Kali Linux commands are used for displaying login user name who are currently logged in on Linux system. Less: Less command is very much used for displaying the file without opening or using cat or vi commands. This command is basically one of the powerful extension of ‘more’ command in Linux environment. More: This command is used for displaying proper output in one page at a time. It is mainly useful for reading one long file by avoiding scrolling the same. Sort: This is for using sorting the content of one specific define file. This is very much useful for displaying some of the critical contents of a big file in sorted order. If we user including this sort command, then it will give reverse order of the content. Vi: This is one of the key editor available from the first day onwards in UNIX or Linux platform. It normally provided two kinds of mode, normal and insert. Free: It is provided details information of free memory or RAM available in a Linux system. History: This command is holding the history of all the executed command on the Linux platform. Securing and Protecting Kali Linux: One if the critical process available in Kali Linux by using VPN services with some configuration changes specifically in a custom proxy. Secure with Password: there has one utility of securing your personal information with a specific password and lock them on to our target. And recovering the same by providing a proper password. This is one of the key tool currently available which can be used in a number of purposes. This is mainly helping on identifying or exploiting some of the victim networks or specific application. Sometime it will be used as scanning some target IP address.